These are the prized Buff Orpingtons that the Dowager Duchess was so keen on. From the Wikipedia entry: "The Orpington is a big hen from the English class of chickens. It's a daring, upright breed with a large chest, broad again, and small head and tail. 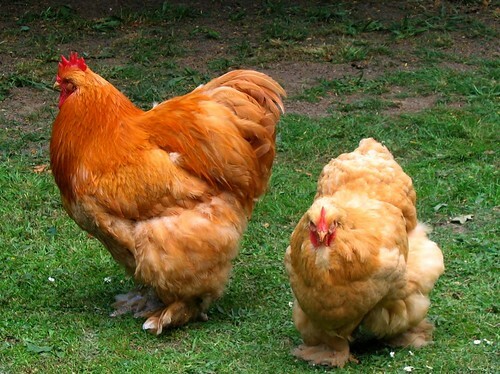 The Orpington was bred as a twin-objective breed (meat manufacturing and eggs), however its reputation grew as a present fowl relatively than a utility breed. Their giant measurement and smooth look along with their wealthy colour and delicate contours make them very engaging." OK, not probably the most fascinating topic or probably the most unique fowl on the planet, however the hen actually is an fascinating wanting creature. This hen has such lovely feathers and appears very wholesome to me (though, I'm not a licensed Veterinarian! ).